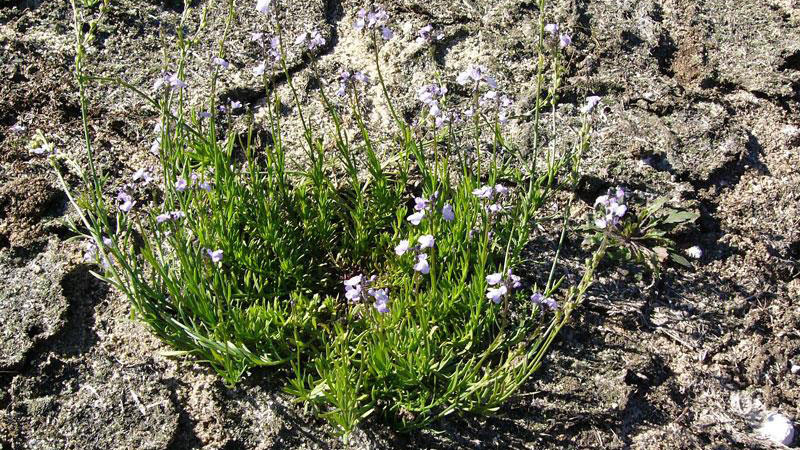 Oldfield toadflax (Nuttallanthus canadensis) is also known as common or blue toadflax. 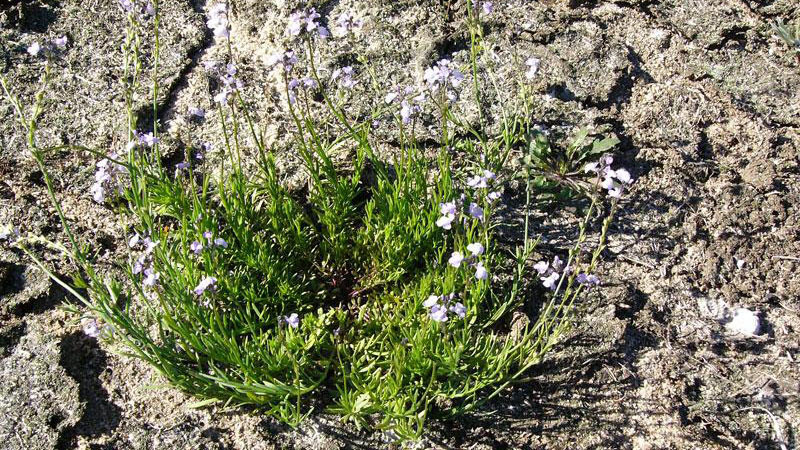 It is a winter annual or biennial weed that is commonly found blooming in the spring in fields and roadsides. 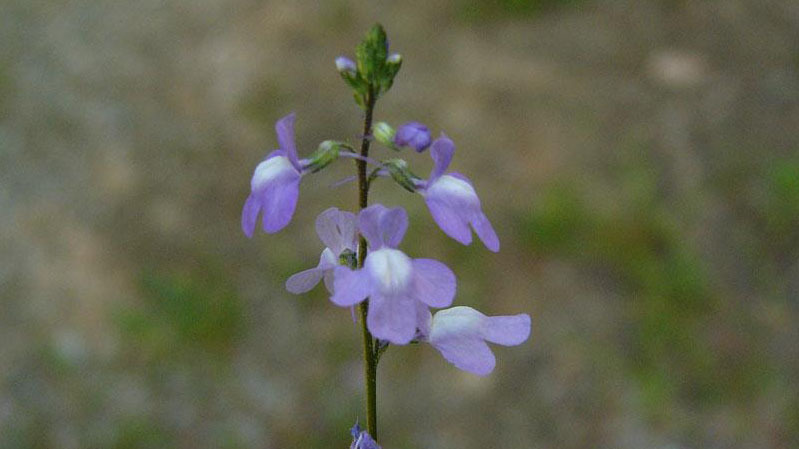 Oldfield toadflax is most often found in the Piedmont and Coastal Plain of North Carolina. 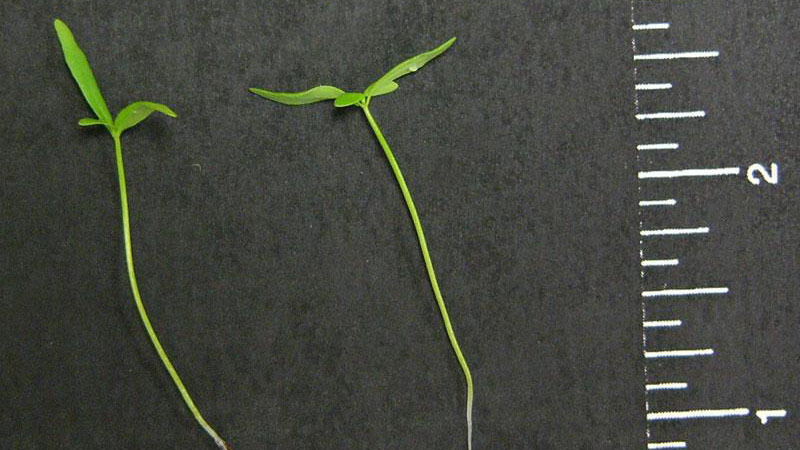 The plant can flower from early spring (most common) to late fall (less common) - depending on growing conditions. 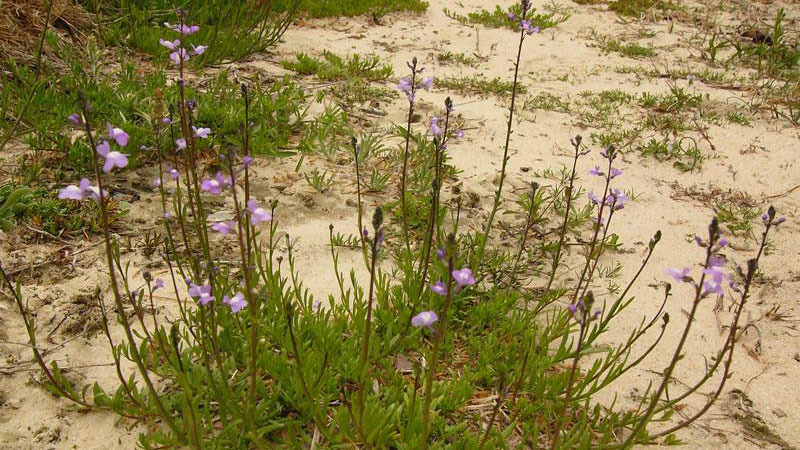 The small blue flowers have three lobes and basal spurs. 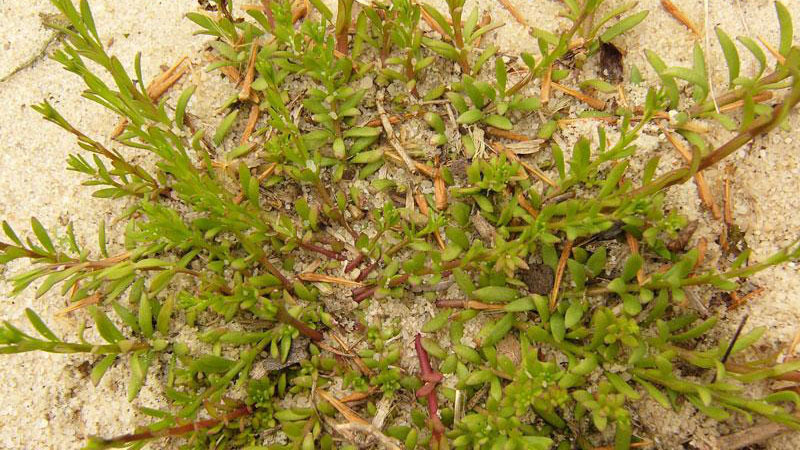 The leaves are small, bright green and linear. 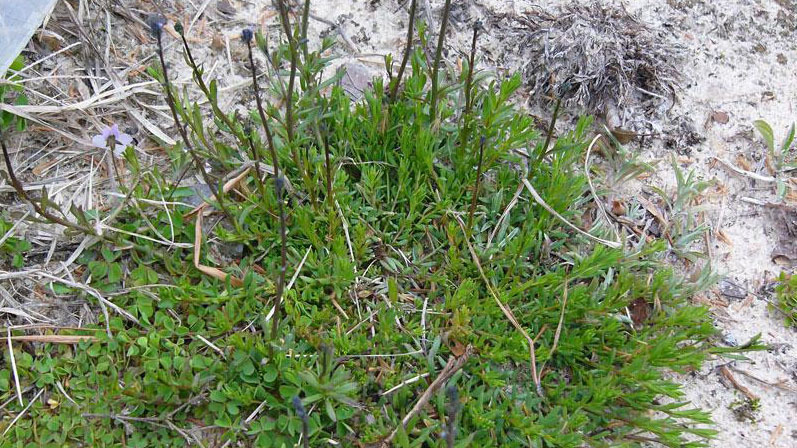 Small clumps of leaves will form in early spring, and the blue flowers will appear on long green stems shortly thereafter. Figure 1. Oldfield toadflax growth habit. Figure 2. Oldfield toadflax growth habit. Figure 3. Oldfield toadflax growth habit. Figure 4. Oldfield toadflax growth habit. Figure 5. Oldfield toadflax growth habit. Figure 6. Oldfield toadflax growth habit. Figure 7. Oldfield toadflax leaf width. Figure 8. 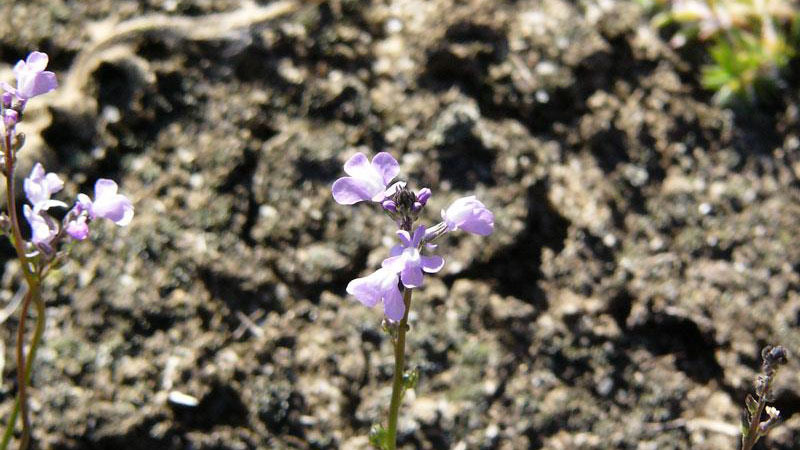 Oldfield toadflax flower color. Figure 9. 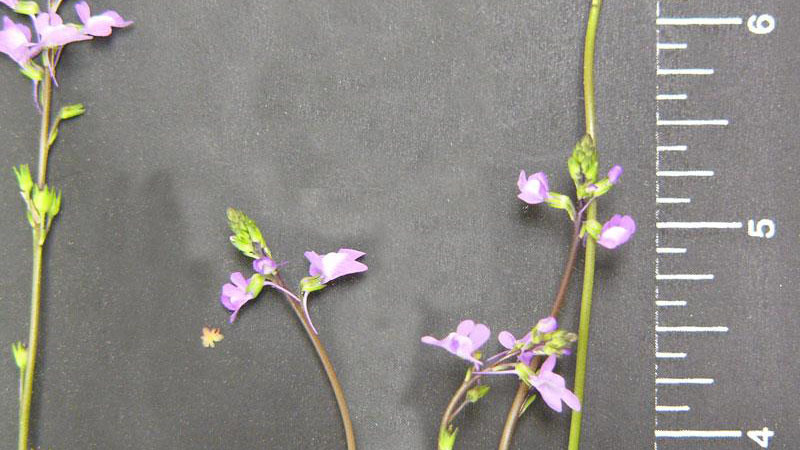 Oldfield toadflax flower color. Figure 10. 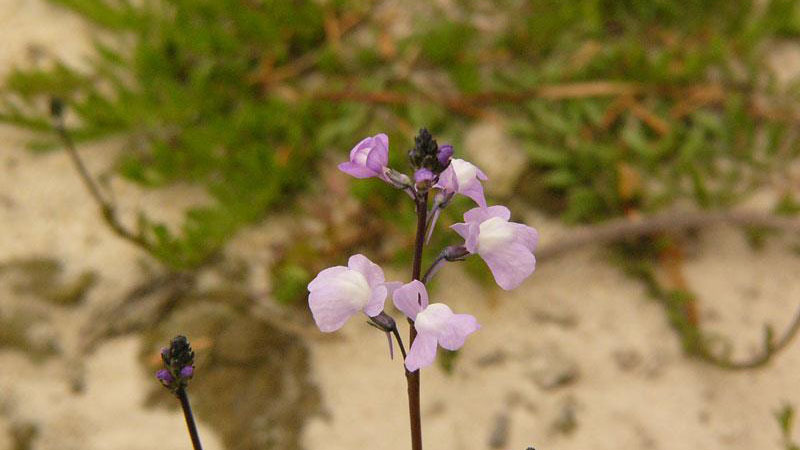 Oldfield toadflax flower color. Figure 11. 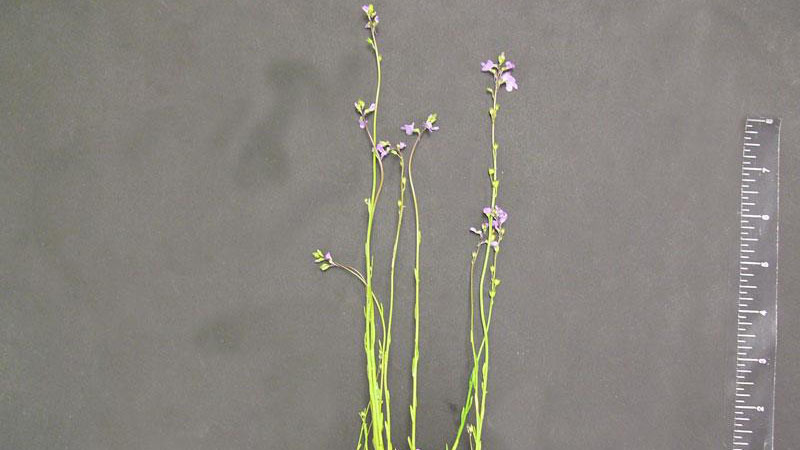 Oldfield toadflax flower color. Figure 12. 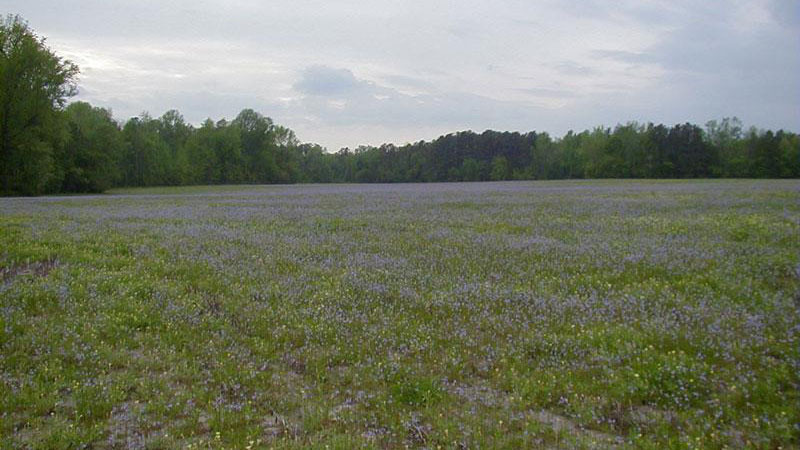 Oldfield toadflax flower color.